The MS26X inspection rack provides easy manual adjustment across XY viewing planes. The smooth movement and flat movement provides seamless and smooth XY movements in a 300mm x 400mm area. The Dino-Lite holster can be adjusted to vary in height and can also be tilted by the adjustable ball and socket pole. 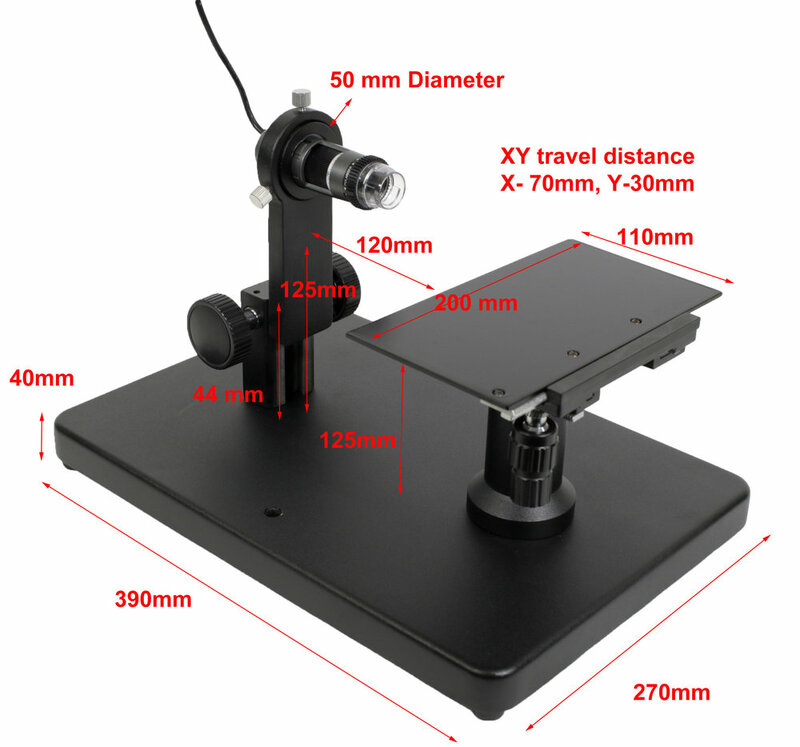 Dimensions: 17.5" x 19" x 4.75"
Designed for Dino-Lite microscope cameras to view objects that require movement over an area. Rolling bases provide smooth movement for quick inspections. Solutions for viewing in areas without appropriate holding racks. Mounting solutions are usually custom made depending on the need of the industry or customer specifications.